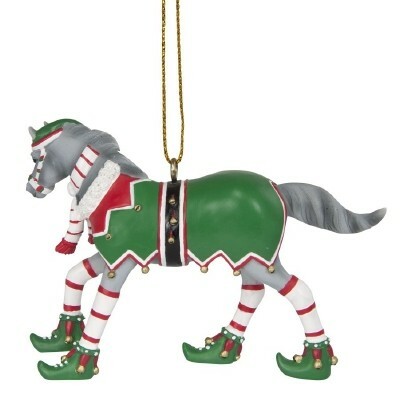 This whimsical Painted Pony's name is ELF, and he is Santa's secret helper. His job is to keep an eye on all the girls and boys, checking if they have been naughty or nice, and putting them on Santa's list. There are times when ELF tends to be mischievous, however, sneaking away from his duties to run and play with the reindeer at the North Pole. 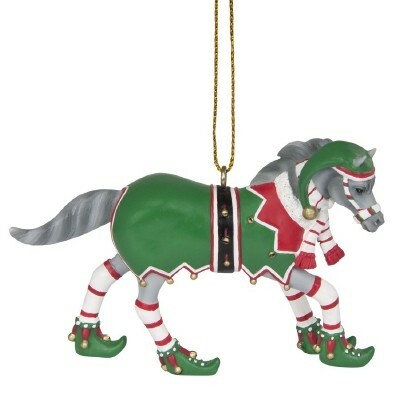 Santa has put jingle bells on his outfit so he can keep track of his little ELF Pony.